Think Italy, think pasta! Gino’s Pasta celebrates Italy’s most famous export with 100 mouth-watering Italian pasta recipes for every occasion. Gino’s Pasta is packed full of versatile, quick and healthy recipes and Gino makes the most of pasta’s simplicity without sacrificing flavour. He includes classics like carbonara, puttanesca and ragù as well as new twists on old favourites such as Lasagne con pesto and the really unusual but super-tasty tagliatelle in salsa tartara and pasticcio dolce! 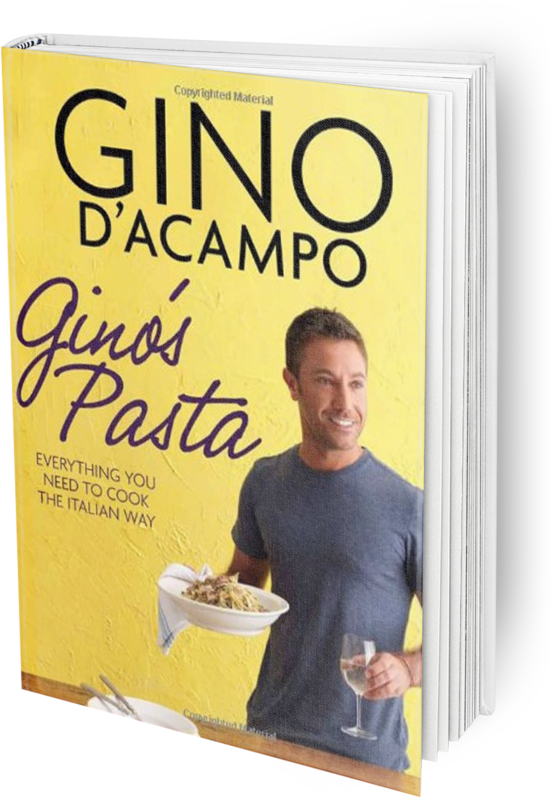 So if you’re looking for pasta inspiration, click below to buy Gino’s Pasta: Everything You Need To Cook The Italian Way or to view a selection of recipes from Gino’s Pasta now! I absolutely love squid and to me there is no better way to cook it than with a nice spicy chorizo sausage. This is a pasta dish that would be perfect for a party because the flavours and the colours are just amazing. If you prefer you can substitute the parsley leaves with fresh mint but whatever you do, please make sure that you use fresh squid. With no doubt, I have to dedicate this recipe to my friend and manager Jeremy Hicks. We have known each other for seven years now and without fail he has to have this pasta dish at least once a week. I actually agree with him, it's one of my favourites too, because I just love the combination of the onion, pancetta and chilli. If you prefer, you can substitute linguine with spaghetti or tagliatelle. Without doubt this has to be one of my father’s favourite pasta dishes. I remember when I used to live with him it was a must-have dish at least once a week but not always with the same shape of pasta. Please make sure that you never use tuna in brine for this recipe and if you like you can add some capers to the sauce. For anybody who isn’t a big fan of rich tomato sauces this has to be the perfect pasta recipe if you still want bags of flavour on your plate. This dish is so full of fresh ingredients that even though it’s in a creamy sauce it doesn’t feel heavy. I must admit that every time I make this for a vegetarian they utterly love me – so it must be good.